Second son of William & Isabella Chisholm nee Sinclair of Chisholm’s Road, Sutherlands, Pleasant Point, South Canterbury. 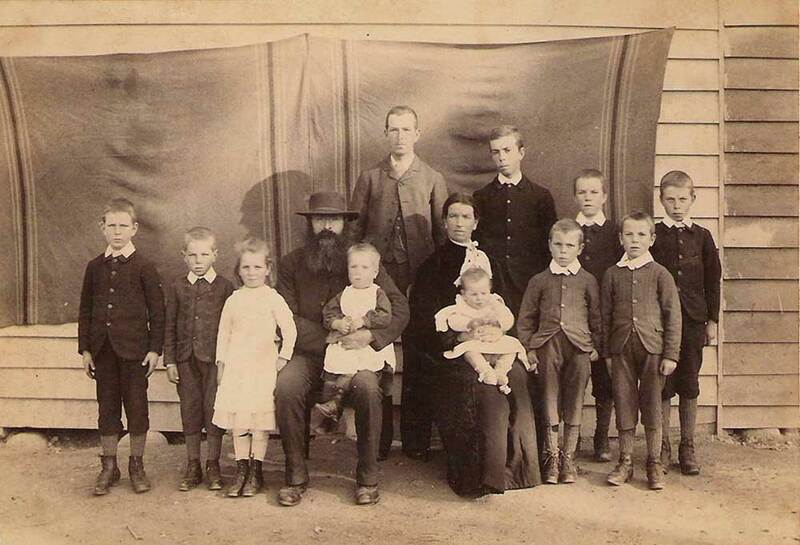 Brother of Archibald Chisholm (Archie), Donald Chisholm, Hugh Chisholm, James Chisholm, William Chisholm (Bill) & Alexander Chisholm (Alick/Sandy) [twins], Margaret Catherine Chisholm (Maggie/Peggy) & Gillies Chisholm [twins], Aeneas Sinclair Chisholm (Nean), and Mary Isabella Chisholm. 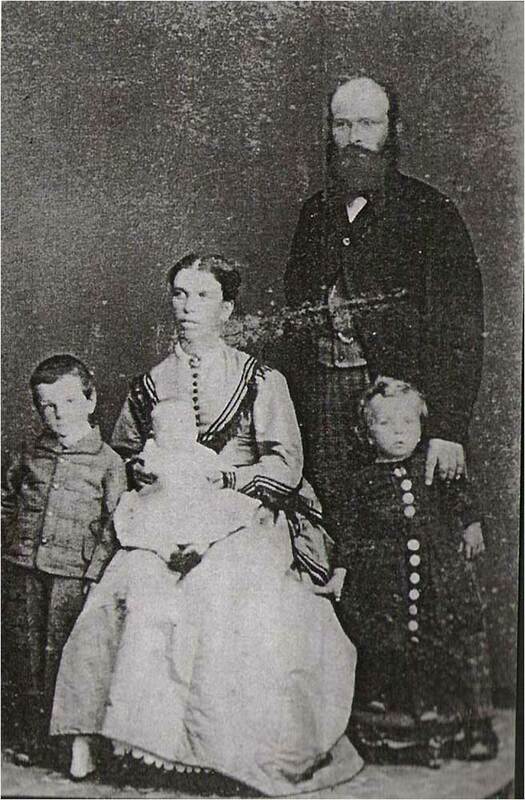 Jack married Francessa Spittall Lyle in Pleasant Point, New Zealand in December 1899 and had seven children: Jean Francessa Chisholm (Jeannie), John Sinclair Chisholm Jnr, Thomas Lyle Chisholm (Tommy), Alister William Chisholm, Dougal Gavin Chisholm (Gavin), Bruce Kennedy Chisholm, and Agnes Mavis Chisholm (Nancy). In the early 1900’s Jack opened a grocery store in the Railway Hotel, Pleasant Point which was destroyed in a fire January 1911. After this and before World War One the family lived in Christchurch where he was a draper for T Armstrong & Co (Manchester Department). After the war he worked at J Ballantyne & Co Ltd until retirement where he brought a farm at Springston, just out of Christchurch. Jack was on the executive of the Christchurch Retired Services Association (RSA) and also played an active role in the Scottish Societies in Christchurch. In 1898 Jack had joined the Canterbury Volunteers and he was promoted to corporal in 1900. By 1901 he was a sergeant with the Geraldine Mounted Rifles. Eventually he became a Lieutenant with the South Canterbury Mounted Rifles. In November 1916 he joined the NZEF in the 2nd Battalion of the Canterbury Infantry Regiment and embarked for Europe on the ‘Willichra’ on 9 June 1917 as part of the 26th Reinforcements Canterbury Infantry Regiment, C Company. After a period at Sling Camp, Wiltshire, England Jack left for France and the British Front on 1 November 1917 where he was appointed Transport Officer for the Battalion. After peace was declared he embarked for home & on the 3 June 1919 John Sinclair Chisholm was awarded the Military Cross for ‘distinguished service in France and Flanders, but especially at Solesmes where on October 23, 1918 his gallantry had saved many men and horses.’ He was appointed Captain in the New Zealand Territorial Force in 1921.